Remove obstacles to communication. An optimised speech-recognition engine responds to more than 100 commands. Just press a button and say the name of a person, role, or group to reach the right person in the right place at the right time. Quickly locate colleagues and summon help in an emergency. Mobilise code teams immediately. At Halifax Health, a communication process that took 30 to 45 minutes became almost instant. Franklin Woods Community Hospital reduced the average time to complete a call between ED nurses and other departments by more than 90 percent. Birmingham Children′s Hospital reduced communication to roaming staff from two minutes to nine seconds. Now the EMS crews can call in and instantly reach someone in the emergency department. 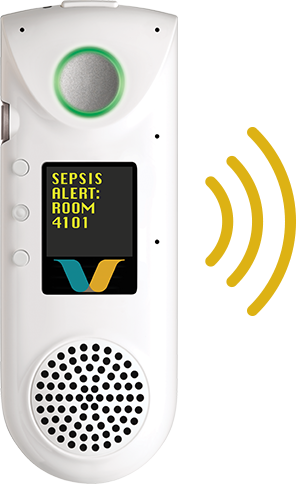 All they have to do is simply say ‘emergency department,’ and the Vocera system routes the call. The right staff member is waiting when the ambulance or helicopter arrives, and they are prepared with the patient′s vital stats in real time. Use broadcast groups to communicate directly and without the noise of overhead paging. Help create a calmer environment for patients and families. At DMC Huron Valley-Sinai Hospital, patient perceptions of hospital quietness improved 20 percent due to reduced overhead paging. Franklin Woods Community Hospital decreased the noise level throughout the hospital to as low as 20 decibels. During a patient surge from Hurricane Matthew, the decibel range in the ED at Halifax Health registered at the level of normal speech. Every time I give a tour to the ED to anyone technical, they always tell me it is the quietest ED in the world. It is actually pleasant when you are there. You would never think that it is full when it actually is. 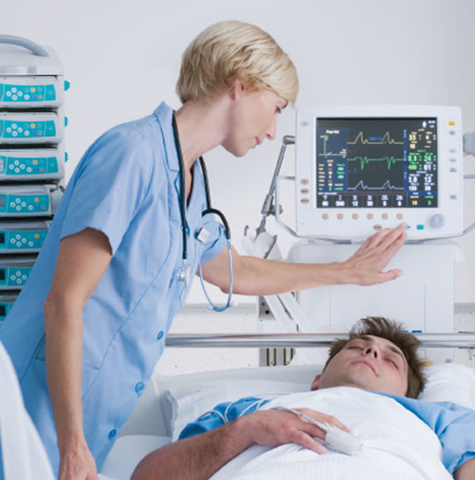 Communicate patient statistics and vital information without leaving the bedside. 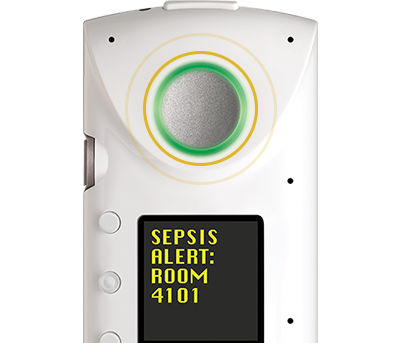 Enable delivery of prioritised alarm and alert notifications directly to the right person at the right time. Columbia County Health System reduced response time to nurse call buttons by 21.4 percent. Community Heart and Vascular Hospital improved nurse response times 40 percent. Emerus/Baptist Emergency Hospitals reduced response time for alert incidents by three to five minutes. Overall communication has improved tremendously. Call light response times are going down. Patient fall rates are down. We′ve reduced wait times for transfers and improved patient care across the board. 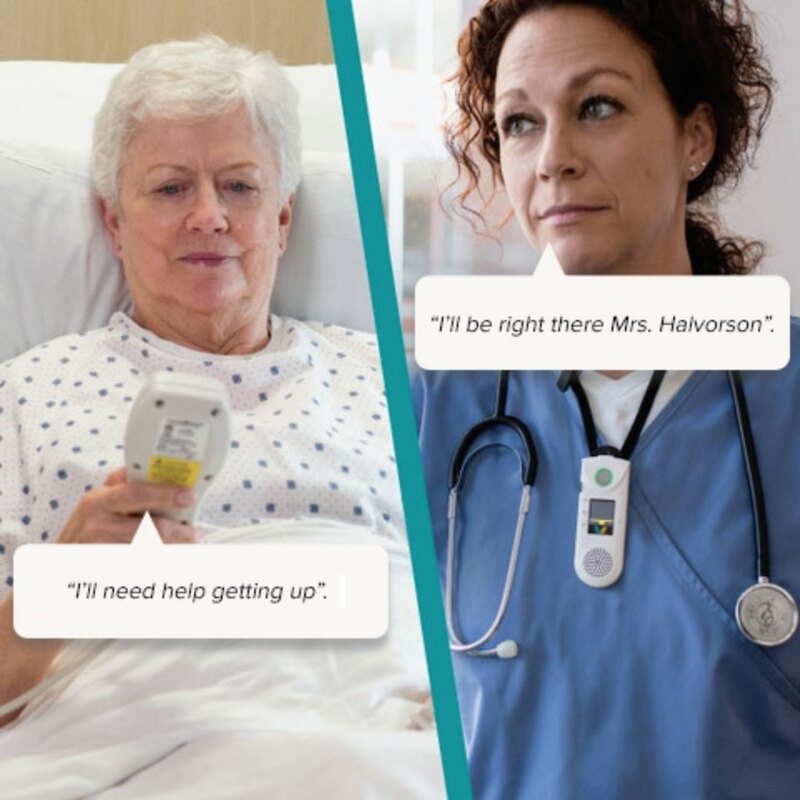 Caregivers and staff can reach help instantly, at the touch of a button. 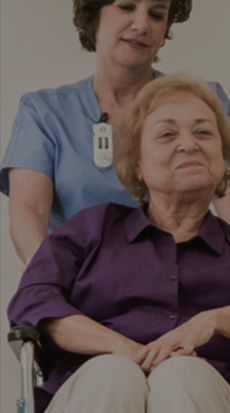 Enable data to be aggregated from electronic health records and other systems and pushed to the right caregiver. Set reminders to evaluate pain and administer medications. Help prevent infection with antimicrobial technology. Summon help immediately. 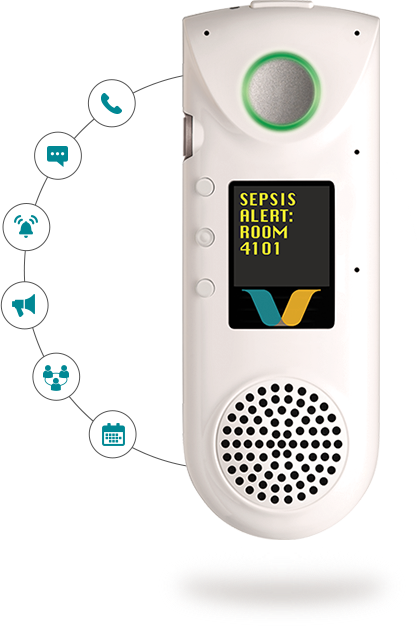 Care teams at Halifax Health receive an alert within 30 seconds of the care advisory system detecting sepsis risk. Evans Army Community Hospital reduced patient falls 88 percent within 10 months. Michael Garron Hospital (formerly Toronto East General Hospital) dropped security officer response time by 61%. 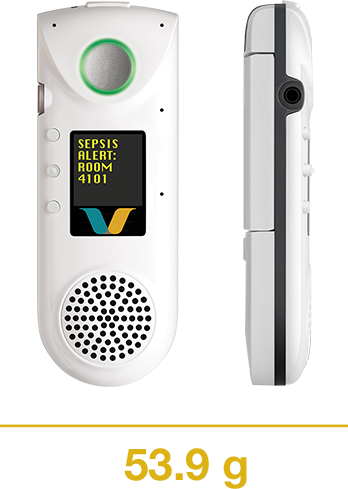 The immediate response enabled by Vocera′s integration with the telemetry system is a game changer clinically, in my opinion. 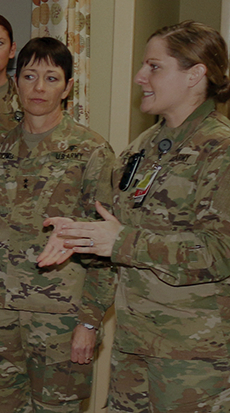 The nurse′s ability to initiate processes and call for backup immediately — as they′re placing lines or grabbing medication or doing critical procedures, without having to step out of the room — provides a level of control that′s currently unprecedented. Dramatically reduce the time it takes to connect with a colleague and get a response. Streamline communication of bed status updates. Reduce delays, communication cycle length, and the number of communication transactions needed to get something done. Santa Clara Valley Medical Center improved bed turnover rates 50 percent from discharge to room ready. Central Maine Medical Center added 350 hours of annual OR capacity while saving more than $300,000 in yearly labor costs. Cuyuna Regional Medical Center decreased the average length of a surgical case by 15 minutes to increase patient flow through the perioperative area by up to 253 cases per year. Let’s say the admitting ward needs to tell an anesthesiologist that a patient’s blood sugar results are out of whack, so anesthesia needs to be postponed or recalculated, which could impact the OR schedule for the whole day. Previously, that simple exchange might have taken 10 or 15 minutes, by the time the admitting clerk tracked down the anesthesiologist. With Vocera, the whole conversation can be completed well under a minute. Get your copy of the datasheet for the award-winning Vocera Badge. Comfortable to wear and always with you. 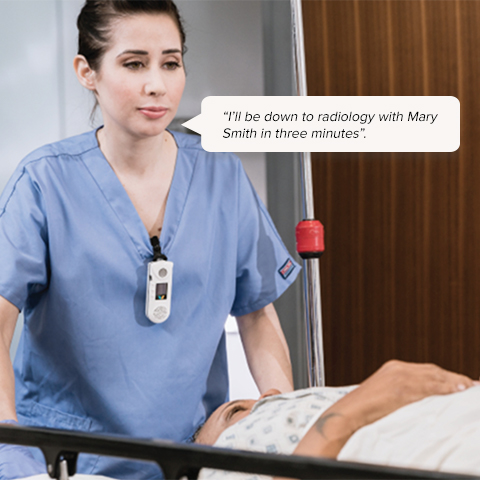 Have a conversation hands-free without disruption to patient-care tasks. 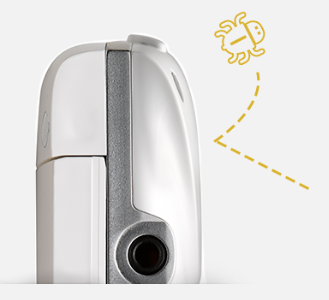 High-quality speech recognition even in noisy environments. Swappable, high-capacity lithium ion battery lasts a complete shift. 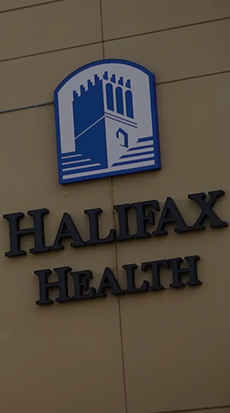 Halifax Health reduced a 30-40 minute communication process to an instant. 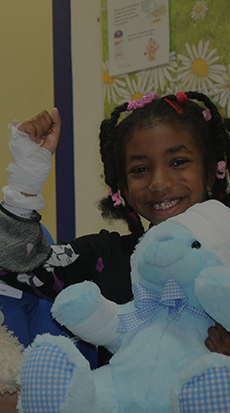 Birmingham Children′s Hospital reduced response time from 2 minutes to 9 seconds. Evans Army Community Hospital reduced patient falls 88% within 10 months. Santa Clara Medical Center improved bed turnover rates 50%. Franklin Woods Community Hospital decreased noise level to as low as 20 decibels.